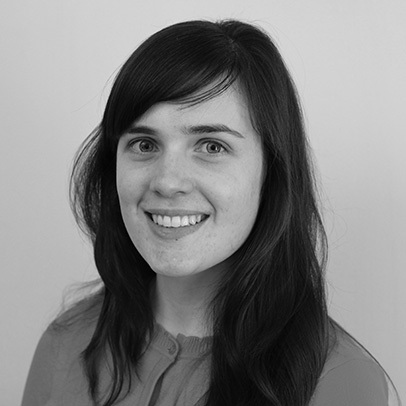 Lydia is a Marie Curie PhD researcher for the System-Risk project at the Flood Hazard Research Centre (FHRC). She conducts research on systemic and integrated approaches to Flood Risk Management (FRM) by analysing actors' connectivity, policy coherence and the relationships between FRM interventions. Her research interests broadly include: integrated flood risk management; flood and disaster risk governance; participatory risk assessments and impact-based early warning systems. Prior to starting her PhD, she spent three years conducting applied research within international development projects in Bangladesh, alongside European joint-research projects RISC-KIT and INTACT. Lydia graduated with an MSc. in Flood Risk Management as part of the Erasmus Mundus FloodRisk Master pogramme led by IHE-Delft and a BEng. (Hons) in Civil Engineering from University College Dublin, Ireland. Cumiskey, L., Davies, Paul., Pinder, N., & Murnane, R. (2016) The Final Mile: Connecting an Impact-Based Warning Service to Decision Making. Understanding Risk: Building Evidence for Action, Proceedings from the 2016 UR Forum 23-28. Cumiskey, L., Werner, M., Meijer, K., Fakhruddin, S. H. M., & Hassan, A.,(2015) Improving the social performance of flash flood early warnings using mobile services, International Journal of Disaster Resilience in the Built Environment 57-72. Cumiskey, L., Hoang, T., Suzuki, S., Pettigrew, C., & Herrgård, M. M., (2015) Youth participation at the Third UN World Conference on Disaster Risk Reduction, International Journal of Disaster Risk Science 2015 150-163.
de Bruijn, K. M., Cumiskey, L., Dhubhda, R. N., Hounjet, M., & Hynes, W. (2016). Flood vulnerability of critical infrastructure in Cork, Ireland. In E3S Web of Conferences (Vol. 7, p. 07005). EDP Sciences. Homberg, M., Cumiskey, L., Oprins, E., Suarez, P., Hulst, A. (2015) Are you Ready! to take early action? Embedding serious gaming into community managed DRR in Bangladesh. ISCRAM 2015 Conference, At Kristiansand, Volume: Proceedings of the ISCRAM 2015 Conference - Kristiansand, May 24-27 Palen, Büscher, Comes & Hughes, eds. Guest researcher at Deltares, Delft, The Netherlands.